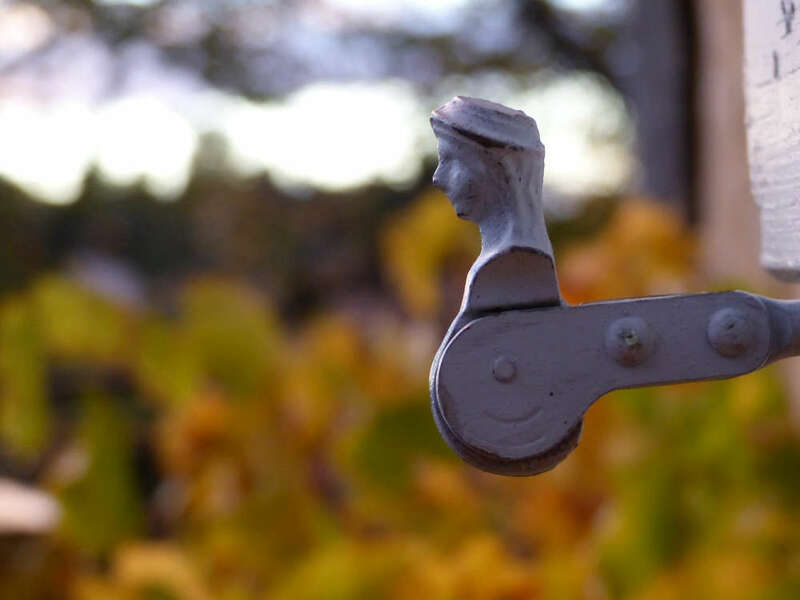 About a year after our Bordeaux river cruise, I was looking for a trip to southern Europe in the late fall. Another short river cruise around the Burgundy region seemed to be the perfect answer: it would provide a lively mix of food, wine and culture in relatively clement weather. I was sold!! Starting with the City of Lights, we wound our way down to Avignon, the point of embarkation. Using a patchwork quilt of trains and buses, we were charmed by such picturesque towns as Vaison-la-Romaine and L’Isle-sur-la-Sorgue along the route. 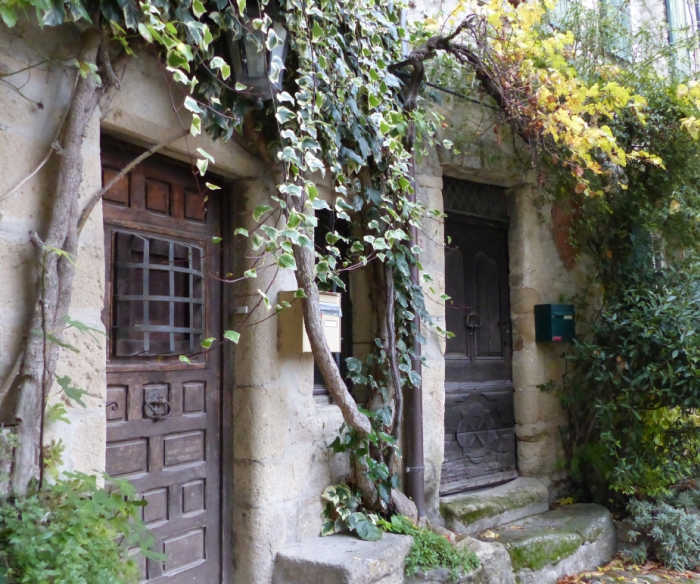 In fact, our stay in Vaison-la-Romaine remains one of my most cherished memories to this day! Mercury riding Pegasus on the western entrance gate post of the Jardin des Tuileries. The Jardin des Tuileries with lovely views of the Louvre and Place de la Concorde is popular with locals and tourists alike. 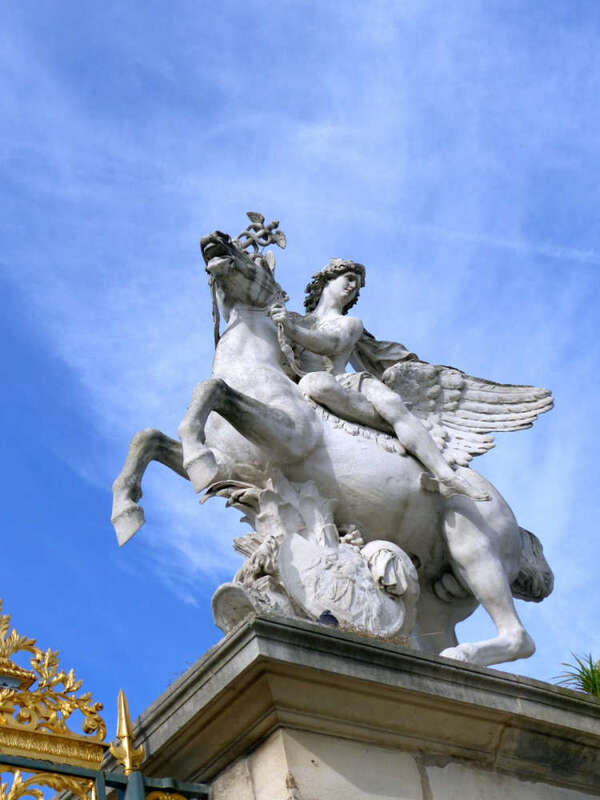 The pair of Pegasus statues flanking the garden’s gilded gates were originally created for Louis XIV’s hunting lodge at Marly but were moved to the Tuileries in 1719, and then the Louvre in 1986. 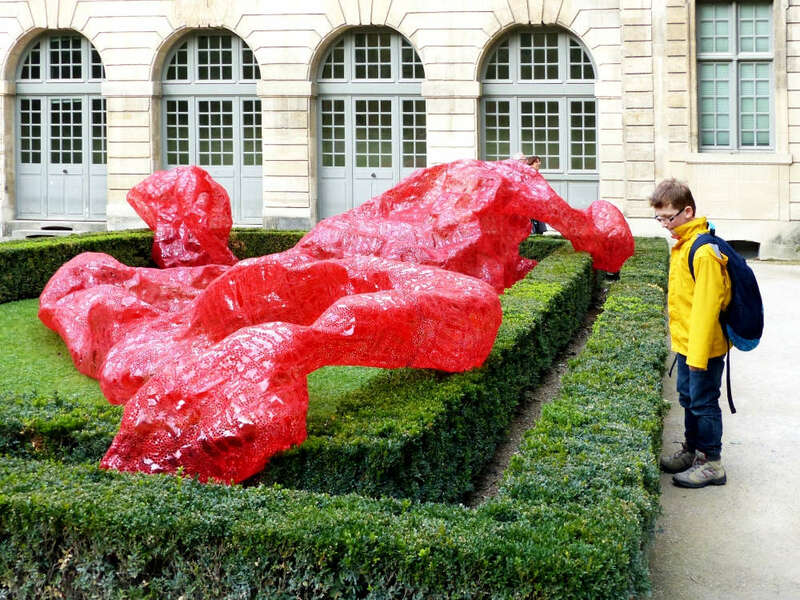 This is an exact replica of the original work by Antoine Coysevox. The semicircular, peristyled courtyard of the Petit Palais provides an elegant retreat. 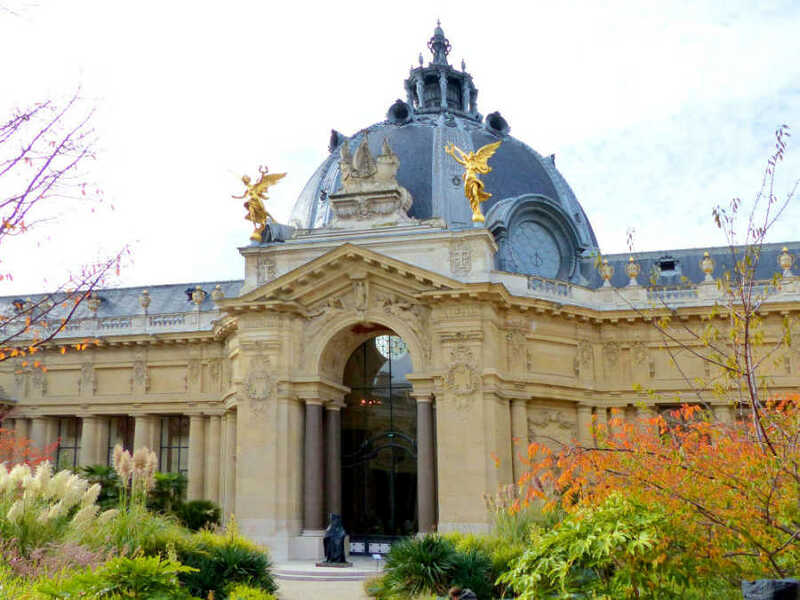 Built for the 1900 World’s Fair, the Petit Palais is currently reincarnated as the city’s art museum. The columns of pink Vosges granite and gilt-bronze decorations give the garden a stately look. 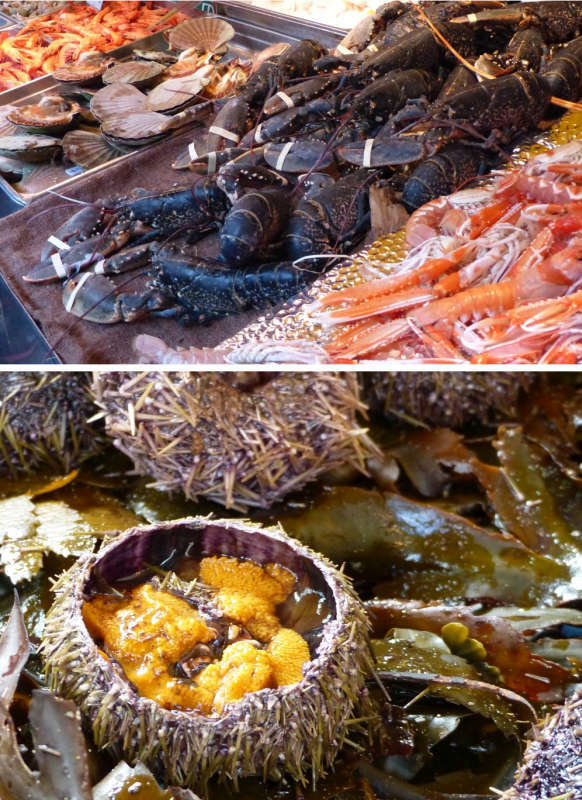 Seafood bursting with briny freshness at the Bastille Market. 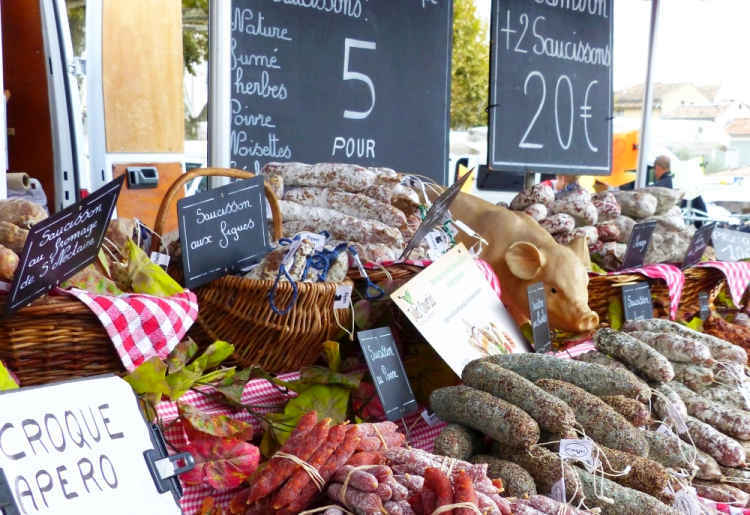 The Bastille Market is one of the biggest in Paris for good reason. Given we were there on a Sunday, I was surprised at how fresh the seafood looked. The market offers everything from cut flowers, seasonal fruits, artisanal cheeses and meats to steaming vats of hot food for those who prefer instant gratification. 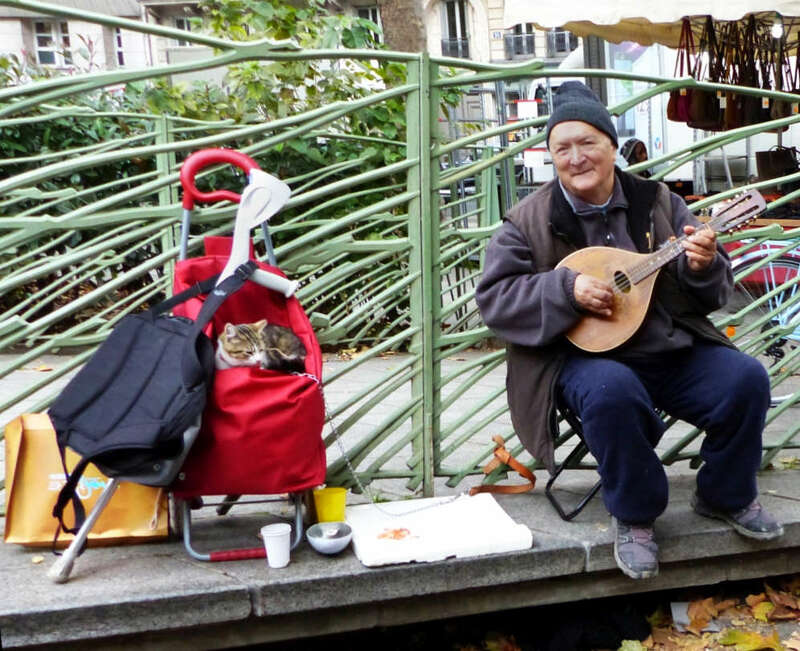 Itinerant musician with his cat at the Market. There were several street performers at the market but this one with his furry friend ensconced in a stroller caught my eye. The kitty didn’t seem phased by its bouncy ‘commute’! 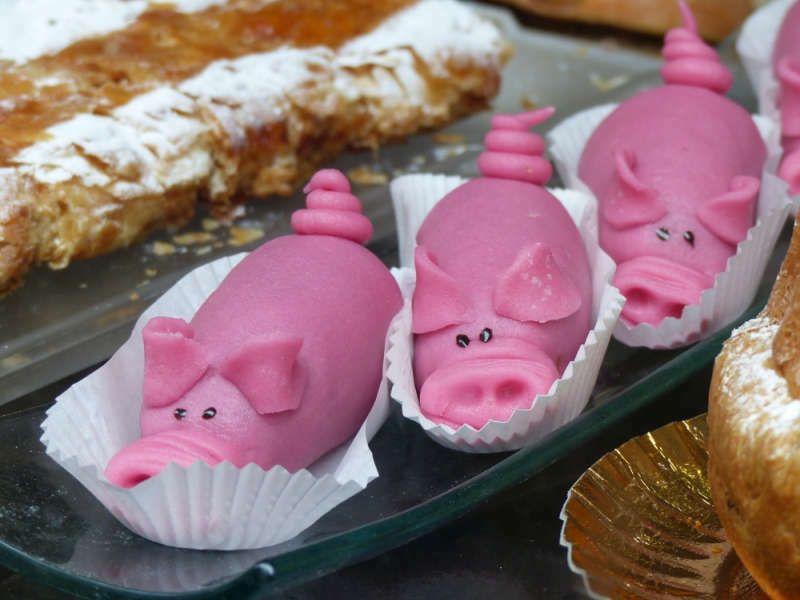 Cute pink piggies at a patisserie. I’m not sure what they’re made of, but possibly marzipan? Almond paste is commonly used in French desserts, though I find it a tad sweet. Hôtel de Sully is a Louis XIII style mansion dating back to the 17th century. 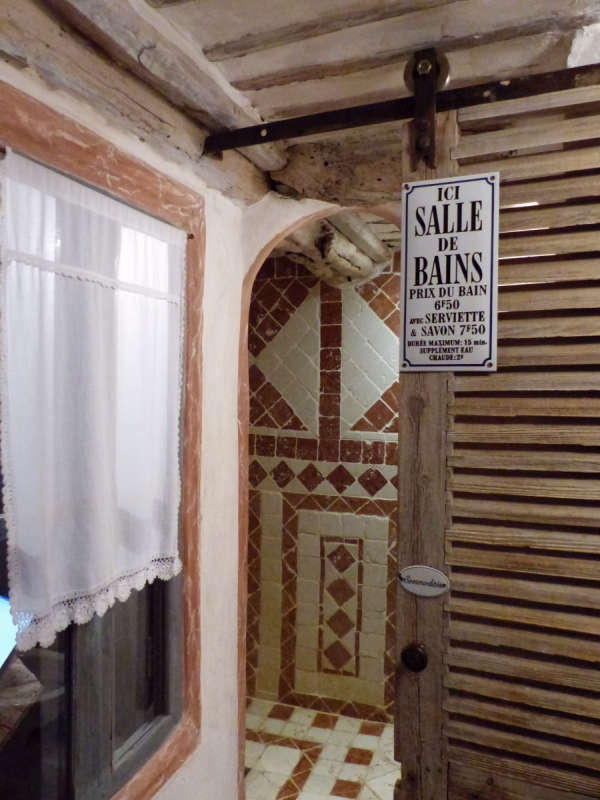 Once owned by the Duke of Sully, it was eventually acquired by the French government, restored to its former glory and now, coming full circle, houses the agency in charge of registering historic monuments. We were strolling over to the Île de la Cité on Sunday afternoon and found the bridge abuzz with activity. 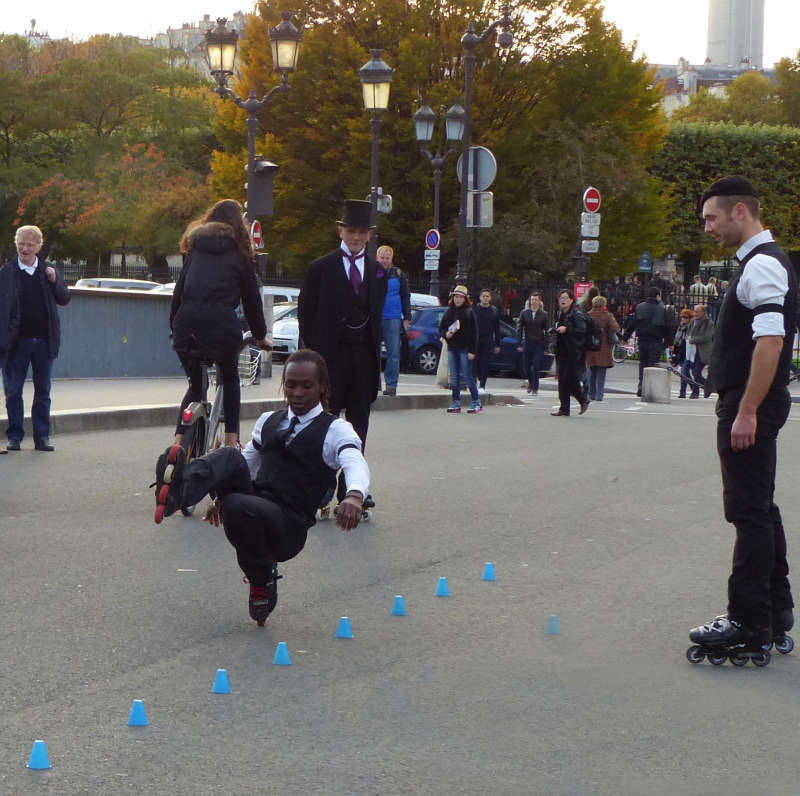 Bicyclists and pedestrians were out in force while the roadway was commandeered by men setting up a slalom for roller skates with blue cups. 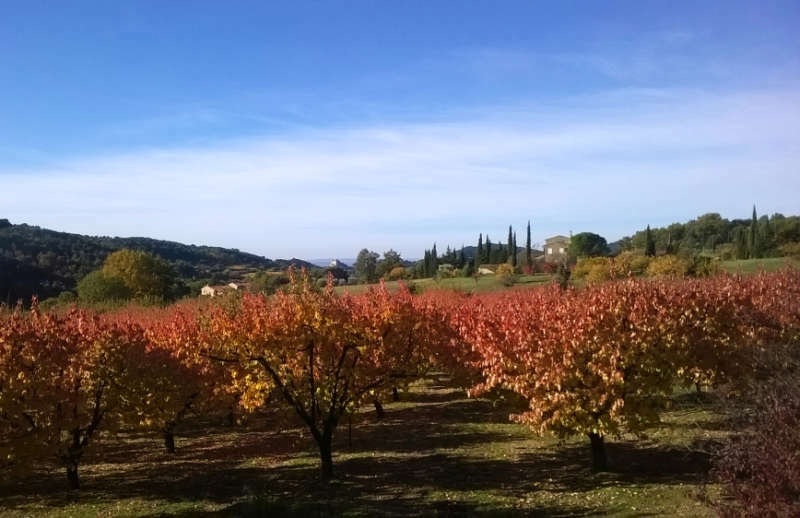 The Provence countryside aglow under in the bright autumn sky. All too soon it was time to leave for our next stop Vaison-la-Romaine, where modern buildings co-exist with medieval fortifications and boasts home to France’s largest archaeological site. Getting there by public transport takes some planning, but I persevered. After a TGV ride to Orange and a leisurely lunch, we caught the bus to Vaison and was met at the station by Anne Launay, the owner of our lodge. 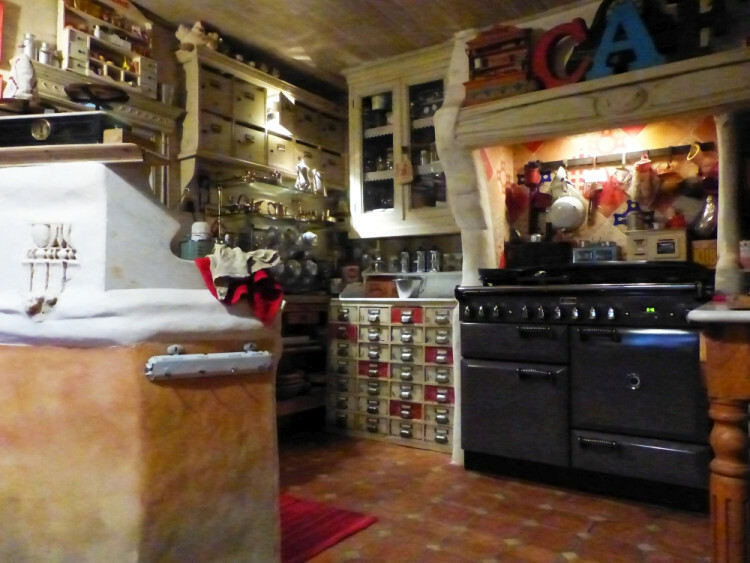 The kitchen, the center of activities at Anne’s lodge Au Coquin de Sort. 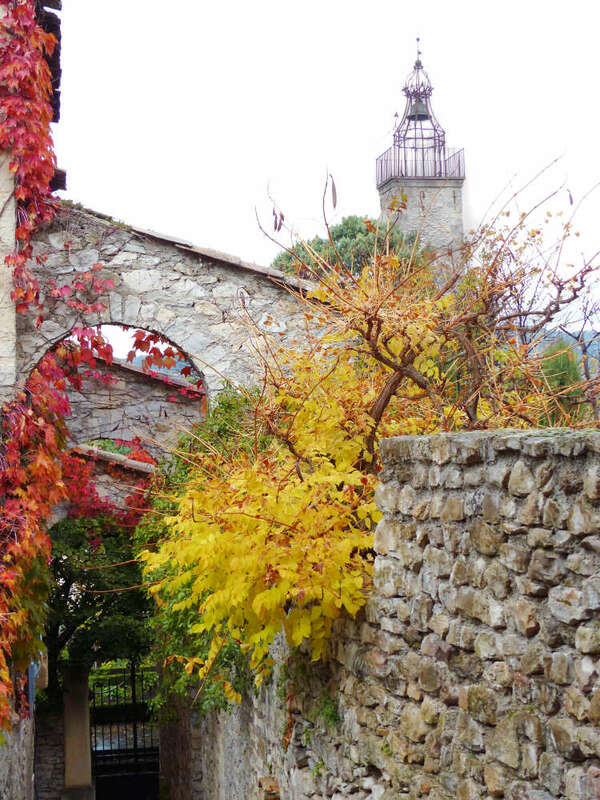 We were visiting Vaison in the off-season and the local cooking schools were closed. Anne kindly offered to create a cooking class based on our food preferences for a very reasonable price. We went with her to the local market to shop for ingredients, spent the afternoon cooking a multi-course meal, and then sat down to share the dinner with Anne and her husband Christian. They were wonderful hosts and it was a lot of fun dredging up my high school French to chat with them. It was an amazing experience I wouldn’t soon forget! A sense of whimsy pervades the guest rooms – our bathroom features a barn door with vintage sign on charges for use of a public bathroom! Anne’s background as an artist is evident throughout the property. She decorated her kitchen with eclectic finds, and painted the furniture as well as murals in her guest rooms. 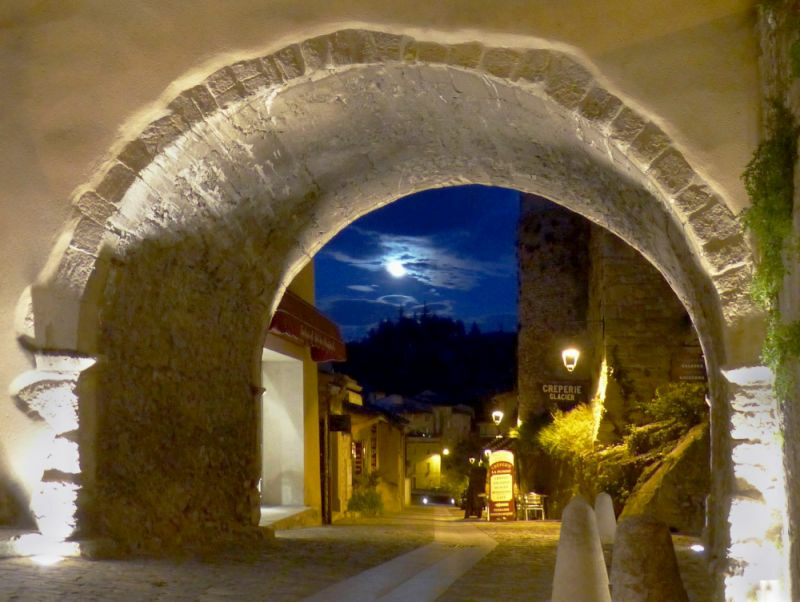 Enchanting view of the medieval town by night. The old town is filled with quaint houses on steep, winding cobblestone streets. I loved checking out the quiet neighborhoods with a sprinkling of 16th and 18th century mansions. The ornate wooden doors and rambling vines somehow reminded me of Antibes. Old town’s double walled fortification with the belfry in the background. We hiked to the hilltop ruins of a 12th century castle built by the Comte de Toulouse and explored the maze of narrow lanes along the way. Some porcine goodness from the market. On Tuesday mornings, the main squares and streets of the town come alive with the market, one of the biggest in the region. Armed with a pull cart, Anne proceeded to fill it with glorious amounts of fresh produce, a whole rabbit and of course, cheese, for our cooking class. Shutter holdback outside our window. This entry was posted in Architecture, Food, Travel and tagged Au Coquin de Sort, Bastille Market, Hôtel de Sully, Jardin des Tuileries, Paris, Petit Palais, Vaison-la-Romaine by Marie Chan. Bookmark the permalink.